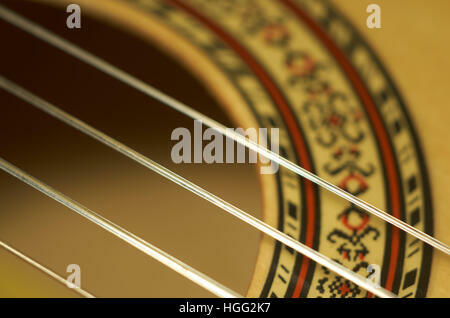 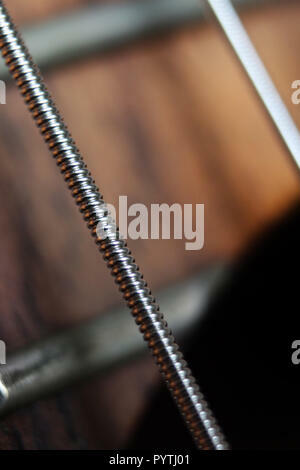 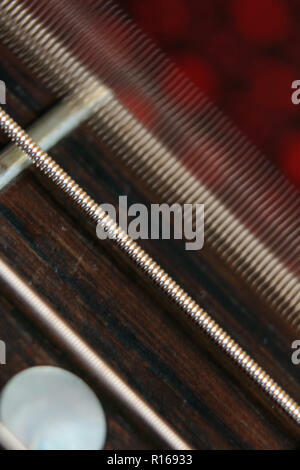 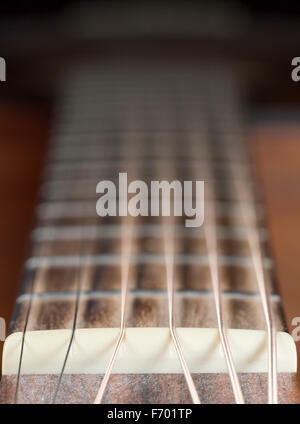 Close-up of the steel strings on a classic guitar. 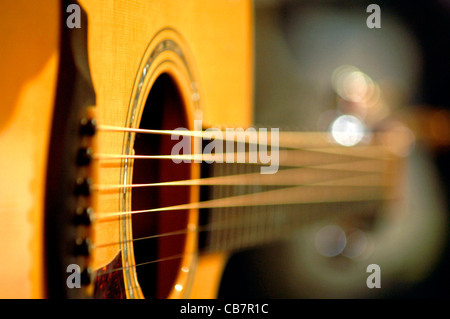 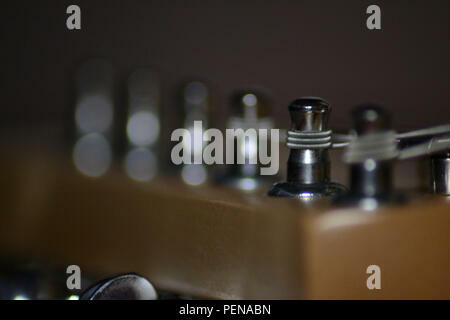 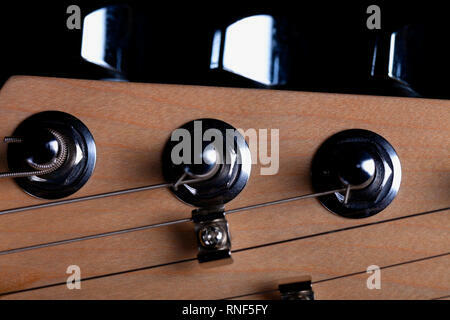 The headstock of an electric guitar on black background. 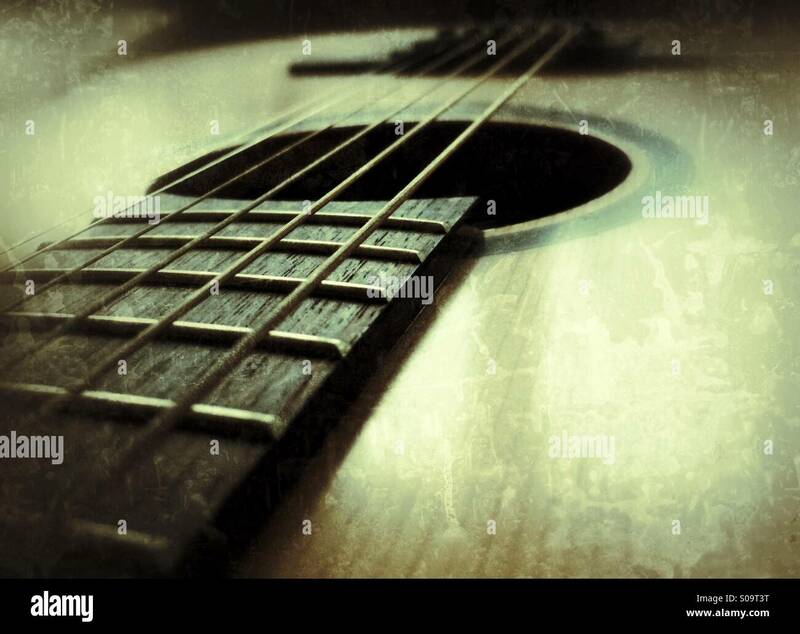 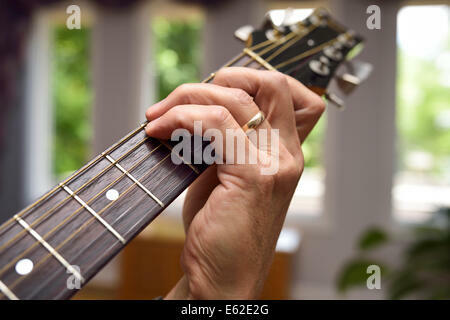 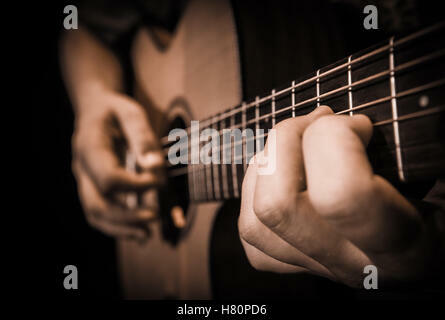 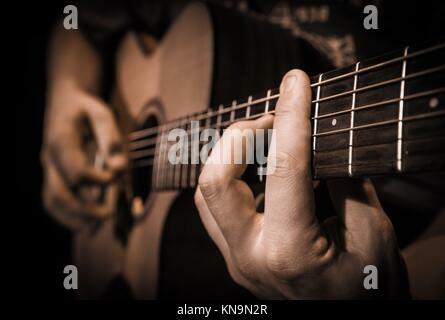 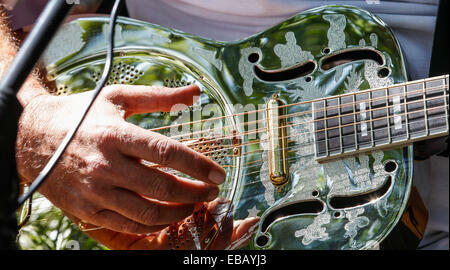 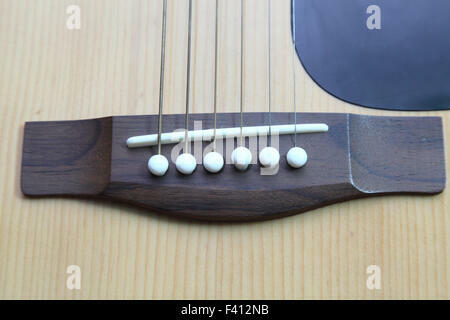 Close up of hands on the strings of a guitar, France.